Trails and Meteor - As the Earth rotates about its axis, the stars slowly move in the sky. This apparent motion can be recorded with long exposures of the same region of sky at night. The result is a picture of the stars' track called "star trails". 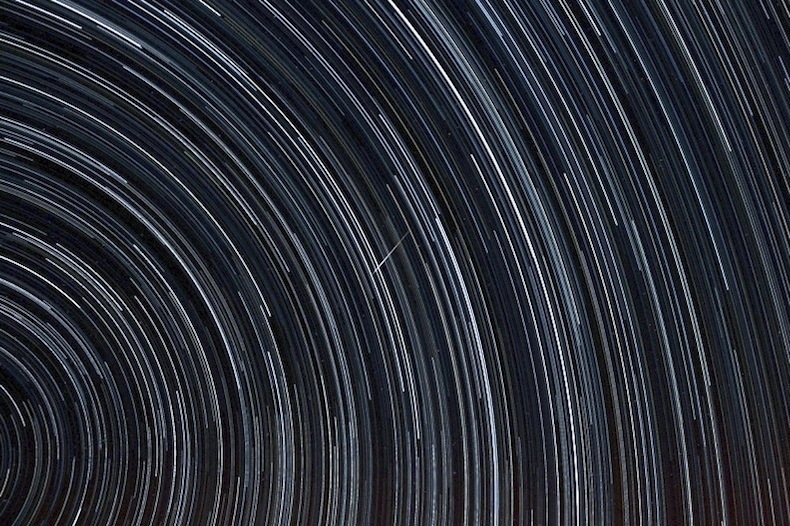 This image includes over four hours worth of such star trails. Apart from the stars, there's a surprise in the center of the picture: a meteor! This shooting star can be seen as a short streak which crosses the parallel trails made by the "normal" stars.